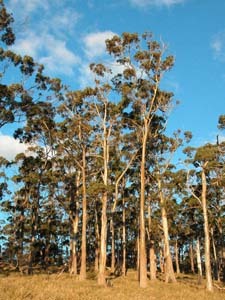 Eucalyptus globulus (Tasmanian Blue Gum) is a widespread and abundant tree in eastern Tasmania (with outlying populations on the west coast, the Furneaux Group and King Island. 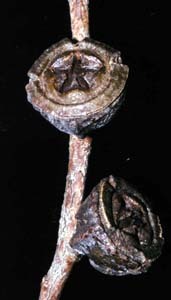 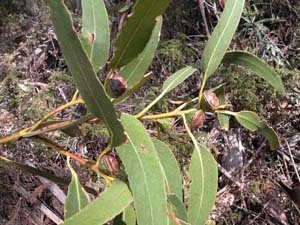 The most obvious characteristic is the large warty capsules. 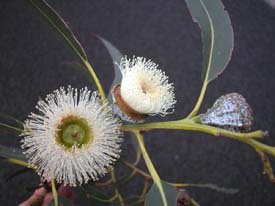 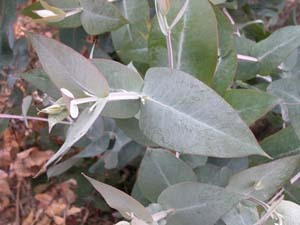 However, the leaves are larger than any other Tasmanian eucalypt (except occasionally members of the ash group of species).